Can I start off this post on a whiney note? I'm not usually one to complain about weather (at least in real life), but I am SO OVER WINTER. This year seems to be more awful than most, and I'm so sick of it! Not to mention that our car that has four wheel drive (which we specifically bought this year to be able to drive safely in the winter) broke down this week and needs a new engine. To top it off, I've kept myself running inside because we got hit with yet another snow/ice storm. BLAH. I have to keep reminding myself that winter will eventually end, and that I'm lucky to have a warm place to live (and work) and just stop complaining. Ok, rant over. 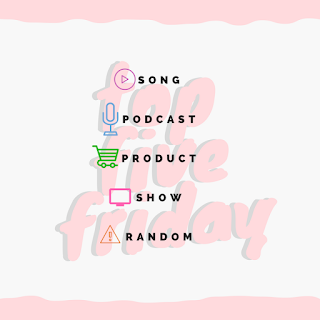 Let's get into happier topics, including something VERY exciting that starts today! Any guesses? Keep reading! Definitely a clique pick for this week, but I love Justin's new CD! While I wasn't super impressed with his half time show (the whole time I was just waiting for something exciting to happen! ), this has been on repeat all week at work. My favorite song is probably Morning Light (mostly because of Alicia Keys) and Young Man is just the sweetest song! One good thing about getting rid of Netflix was being able to find new and cool shows that I would normally never watch! 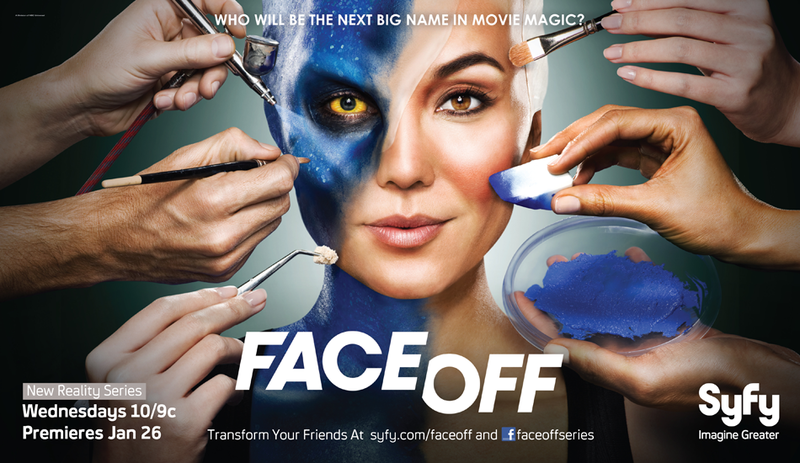 I recently discovered Face Off, which is a reality competition show all about special effects makeup. It's so cool and interesting to watch the creative process that these artists put into creating characters. I love it! Luckily for me, there are tons of seasons already out, so I have lots of watching ahead of me. Duh, I had to mention this again. Today the Olympics officially kick off with the opening ceremony, and it's all systems go from there! I'm excited for all of the events, but my favorite winter sports are figure skating, and all of the skiing and snowboarding events. Can't wait to watch and follow along! #GoTeamUSA! Can I have some cheese with my w(h)ine? Do you love or hate the Olympics? Favorite sport? What did you think of the Superbowl/Halftime Show? I’m over winter as well! I liked the halftime show! I didn't mind the Superbowl half time show. I was hoping he would bring back some old school NSYNC though. I like it because it's a chance to see sports that I NEVER usually watch. Definitely don't love every sport, but I just love the diversity! We watched some of the mens team skating last night. The commentators were brutal -- especially the man! Lol I love them...they pretty much echo my thoughts instead of sugar coating everything! Also completely OVER winter. I also LOVE the olympics! Just got my first bit of ice skating last night, though OOF to poor nathan chen's nerves. I hope he can chill out for the individual events! I'm with you! I'm over winter already, I was over it in November! yes, before it even started. I'm going to check out that show, it sounds cool! Hahah I like your thinking..let's just skip winter next year. Are you watching Celebrity Big Brother!? I thought that would be on your list! :) So far there have been 3 episodes (I'm sure you could go back and watch them) and it is VERY GOOD. From a one BB fan to another... I highly recommend it! No I'm not!! I've been too invested in the Olympics :( Maybe I can catch up soon. I have been following it though so I know what's happened so far!